The Warsaw Bar Association will hold its 1st International Conference in January 2016. Cherie Blair, an English barrister, Queen’s Counsel and wife of former British Prime Minister Tony Blair, has been invited to the conference as a special guest and speaker. Cherie Blair was invited to Warsaw by the Foreign Affairs Committee of the Warsaw Bar Association. She will give a keynote speech entitled “How to Serve Modern Business in the Legal Profession ” at the 1st International Conference organized by the bar association’s Continuing Education Committee. 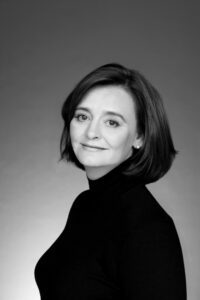 Cherie Blair is the founder and chair of Omnia Strategy LLP, an international law firm providing strategic advice to governments, corporations and private clients. She is a barrister, Queen’s Counsel , Commander of the Order of the British Empire, and wife of former Prime Minister Tony Blair. She studied law at the London School of Economics . In her 35 years of law practice she has specialized in international public law, human rights, arbitration and mediation. She has acted as counsel in numerous international disputes. She is also involved in charitable work, particularly by supporting programs for women entrepreneurs through the Cherie Blair Foundation. The conference, entitled “Investing Abroad: Real Properties,” will cover ownership and acquisition of real estate by foreigners in European jurisdictions. The participants will include lawyers from several European countries: Bulgaria (Adriyana Nikolova Yanchina), France (Iwona Jowik), Germany (Marc Wesser), Greece (Giolanda Karydakis), Italy (Pietro Orzalesi), Romania (Calin Viorel), Slovakia (Ľudmila Dohnalová) and Spain (Carmen Pérez Andujar). The conference will be held at the Warsaw Bar Association Conference and Training Centre in Warsaw, at ul. Żytnia 15 lok. 16, 1st floor, on 26 January 2016, from 9:30 am to 6:00 pm. The registration form and detailed information are available here.